First and foremost, we would like to thank our good friend Irene L. for making this happen. Thank you so much for your kindness. We can´t thank you enough! "Are they Joes?... ..."They´re Joes...!" 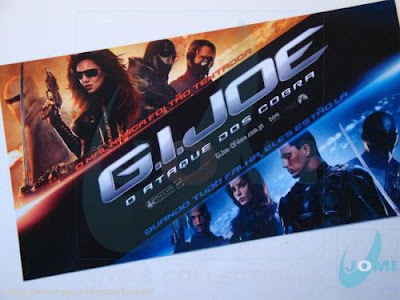 If your thing is action movies, you don´t know what you´re missing... if you like G.I.Joe and you haven´t yet seen this movie, go see it... "and that´s an order"!